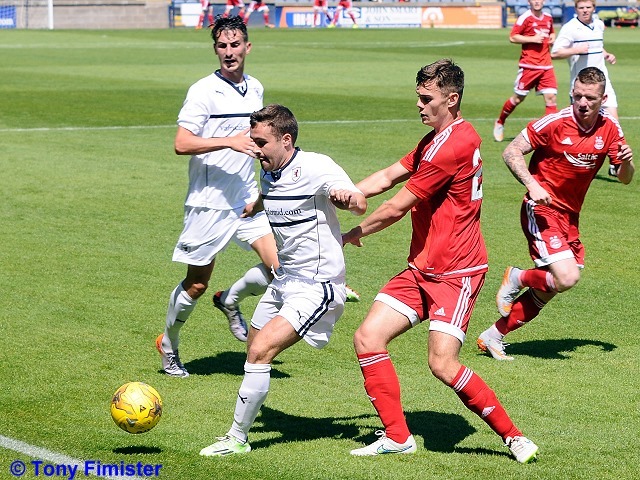 Raith Rovers pre-season campaign continued at Stark’s Park this afternoon, when they went down to a strong Aberdeen side by two goals to nil. 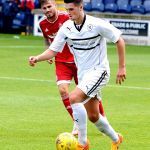 Manager, Ray McKinnon made two changes from the side who lost out to Hearts in midweek, with Darren Petrie slotting into the left-back position in place of Rory McKeown, while Mitch Megginson started up-front alongside Craig Wighton, with Lewis Vaughan dropping to the bench. 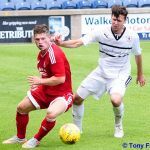 The Dons were expected to have the edge on Raith Rovers in terms of fitness, with Derek McInnes’ men already two games into their competitive campaign, after dispensing with Shkendija in the Europa League qualifying round. 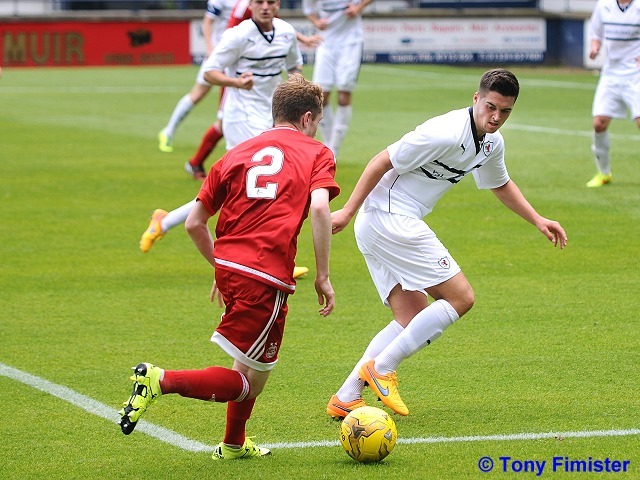 However, Raith started brightly and created the game’s opening chance in just the second minute. 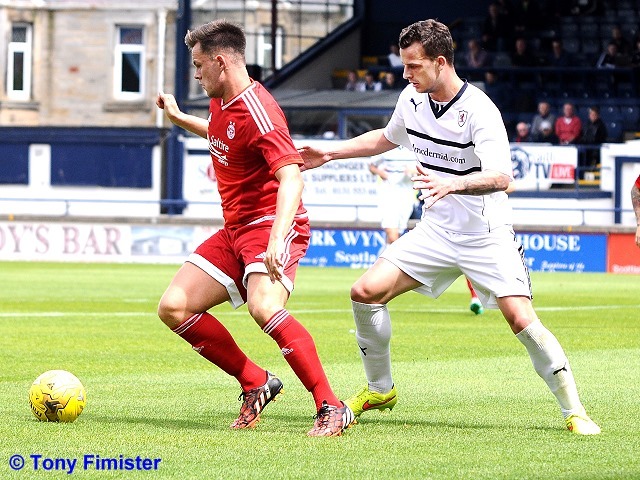 Ryan McCord teed up Mitch Megginson inside the box, and although his passage to goal was blocked, the ball made its way to Wighton, whose effort was tame and straight at Aberdeen goalkeeper, Scott Brown. 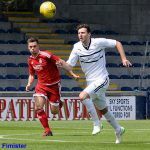 The match had begun at a decent pace, and captain, Jason Thomson was the next to get forward, aiming a cross to the back-post which was cleared for a corner. 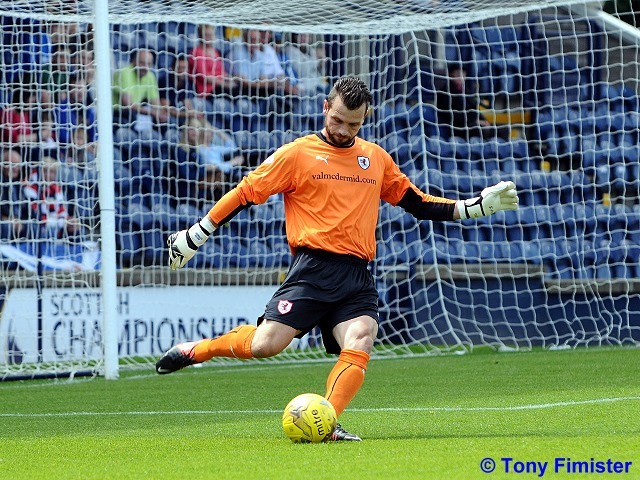 Although the set-piece was drilled across goal, no Raith player was able to capitalise and the chance went begging. 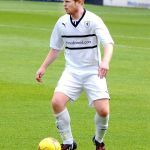 Possession seemed reasonably evenly split in the opening stages, with Barry Robson seeing plenty of the ball in the middle of the park for Aberdeen, while winger, Scott Wright was looking lively down their right-hand side. 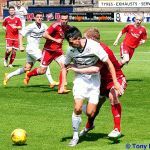 Despite this, it was Raith who were creating the best opportunities, and they were the width of the post away from opening the scoring in the tenth minute. 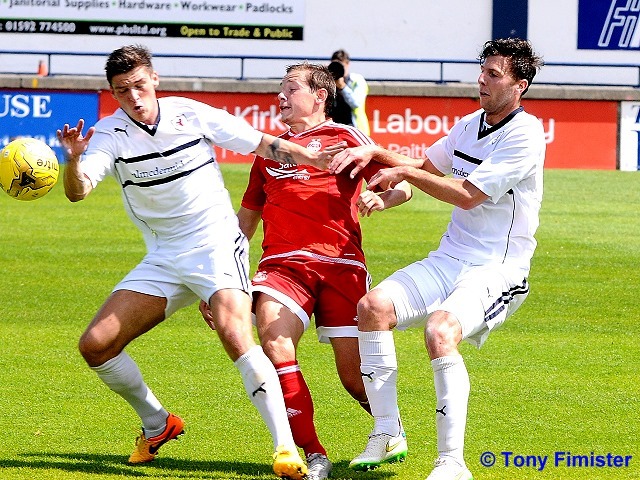 Megginson demonstrated some great technique as he glided his way to the by-line, and while his cutback was well met by Kyle Benedictus, the defender was unfortunate to see his close-range effort strike against the left upright. 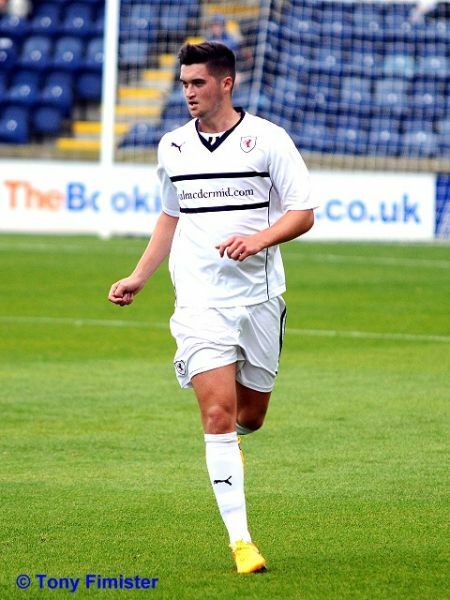 Within five minutes, the same post was struck again, as this time Thomson was the provider from the right-flank, sending in a cross which was superbly brought down by McCord, however, after shimmying himself into a shooting position, his shot wasn’t quite accurate enough, hitting the base of the post and heading wide. 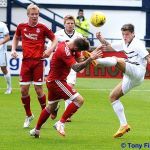 Aberdeen then had their first real sniff at goal, when a long ball over the top of Benedictus, saw former Raith-loanee, David Goodwillie through on goal. 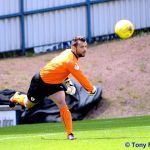 His shot was fired early and low, but Kevin Cuthbert managed to repel his effort with the toe of his boot, before Toshney hoofed it to safety. 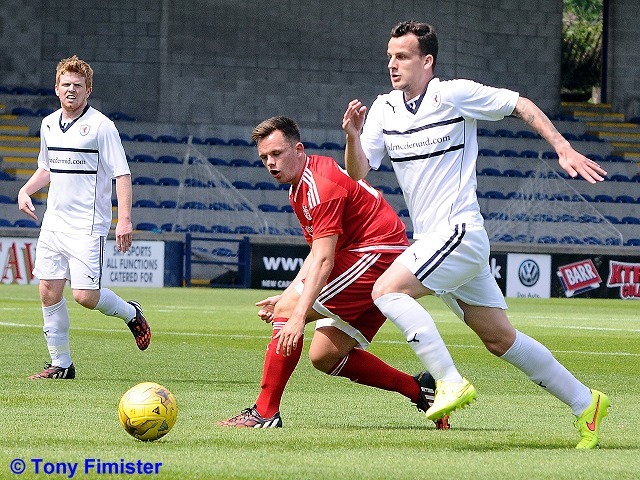 Wright was having a productive afternoon down Aberdeen’s right, and he set up Lawrence Shankland who saw his snap-shot from 20-yards limp harmlessly wide. 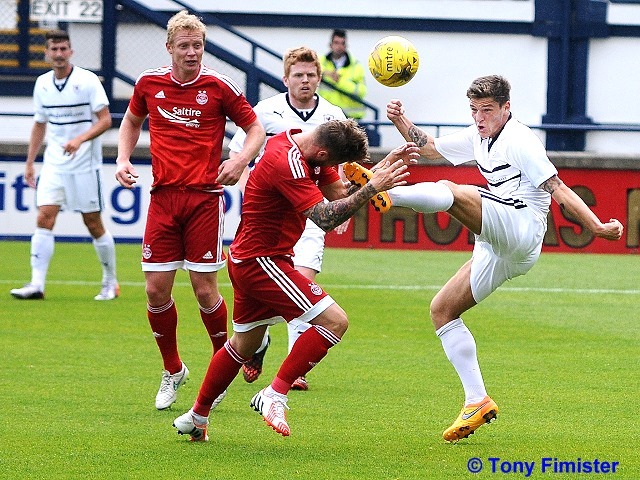 Goodwillie came much closer a moment later, picking up the ball inside the penalty area and at an angle. 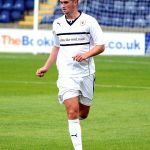 The forward was presented with too much space, allowing him to look up and lob the ball over Cuthbert, who was relieved to see the deft shot ricochet off, then over the bar. 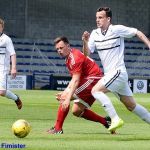 After being on the back-foot, Aberdeen were now in the ascendency, and although Peter Pawlett’s run was eventually stopped by Lewis Toshney, Cammy Smith advanced onto the loose ball and powered a shot over the bar. Both teams were looking to keep the ball on the deck, and get forward as much as possible, which was making for an enjoyable spectacle. 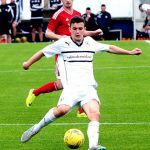 Wighton was the next to impress, keeping the ball in on the touchline, before sending a cross into the middle which Ross Callachan struck first time from the edge of the area, forcing Brown into a great, diving stop. The ball was straight up the other end of the park, and Cuthbert replicated Brown’s heroics from a moment earlier, reacting impressively to keep out Robson’s stinging 25-yard drive. 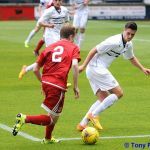 The second-period was just a couple of minutes old when Ray McKinnon made his first swap, replacing James Craigen with Lewis Vaughan, with the forward partnering fellow teenager, Wighton up-front, with Megginson moving to the left. 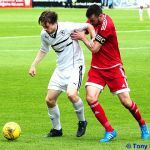 Despite the game featuring just the one change, the half failed to have the same vim-and-vigour of the first, and while Aberdeen now looked the brighter, both sides were struggling to create too many chances of note. 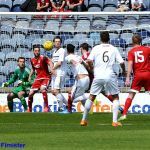 Graeme Shinnie was trying his best to change that however, and his dash down the left, with Grant Anderson in quick pursuit, eventually presented Shankland with a chance, but while he did well to hook a shot over his head, it also cleared Cuthbert’s crossbar. 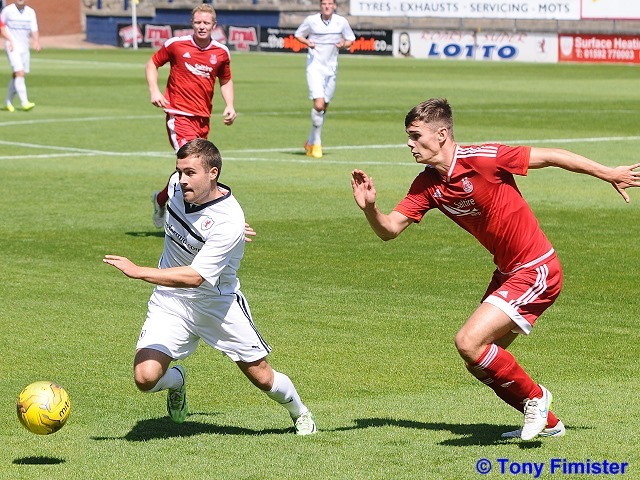 Aberdeen made a clutch of alterations on the hour mark, bringing on first-team regulars, Andrew Considine, Kenny McLean, Ash Taylor and Willo Flood, and their introductions seemed to supply the away team with extra impetus, as they took the lead five minutes later, with a scrappy goal. 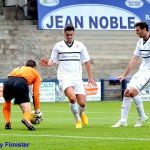 A cross from the right-hand side wasn’t cleared effectively, and although Robson’s initial shot was deflected, it fell kindly to Goodwillie, who steered it past Cuthbert. 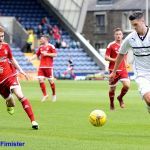 Rovers slmost replied promptly, when an Aberdeen free-kick in the centre of the pitch went completely awry and was presented straight to Wighton, however, his run, and game was halted on the edge of the penalty area, as he hobbled off after a strong, but fair challenge. 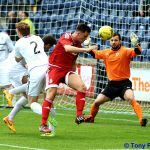 His departure signalled Ross Matthews introduction to the midfield, with Anderson moving into an advanced area. 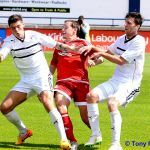 With twenty minutes remaining however, Aberdeen effectively sealed victory, after Ash Taylor was allowed too much space in the penalty area, nodding home unimpeded from a corner-kick. 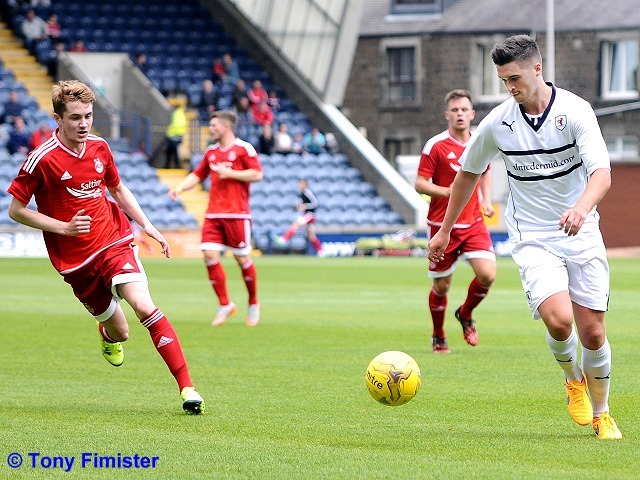 Raith fashioned one more opportunity before the end, with Rory McKeown, a late substitute for Megginson, doing well on the left and picking out Vaughan, but after riding one tackle, he attempted to sidestep another rather than shooting, and the chance was squandered. 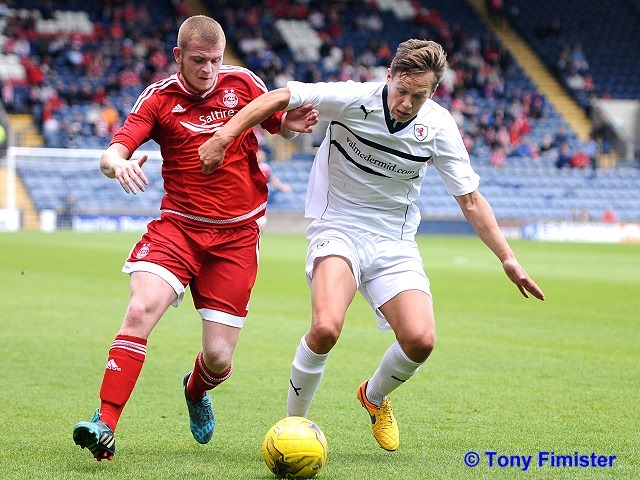 Raith’s next fixture is Wednesday evening, when Dundee will be the visitors to Stark’s Park. 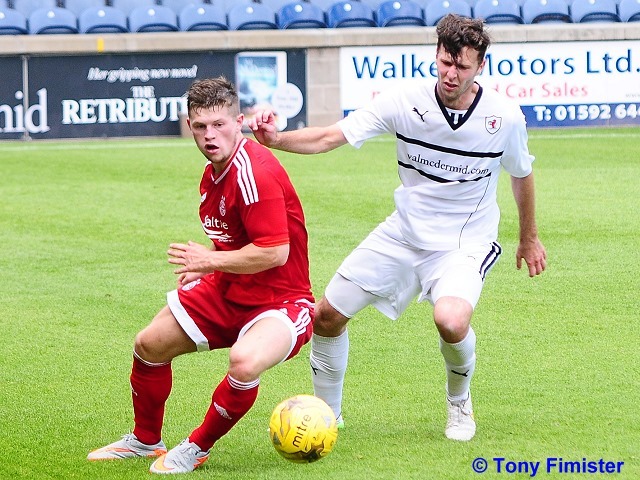 We welcome Aberdeen to Starks Park, it's 17 degrees and slightly overcast. 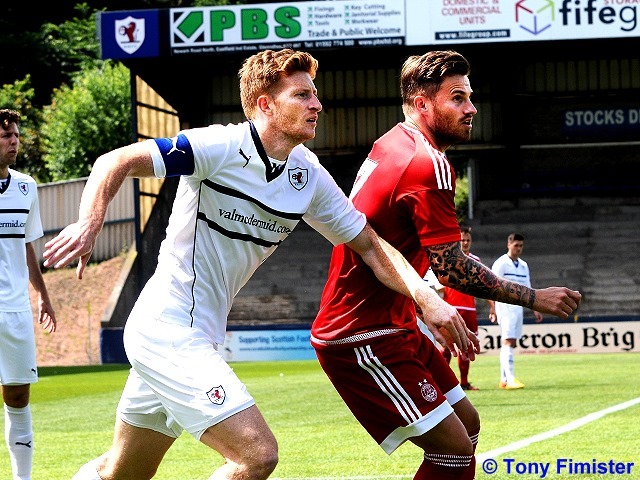 David Goodwillie returning to grace the Starks Park pitch once more. The pitch is looking fantastic, well done the ground staff. The match kicks off to the strains of Dancing in the Street . Wighton with the first strike of the game, shooting straight at Brown from 6 yards. Anderson close, backheels just wide from Petrie 's corner. Robson and Smith combining in the Rovers box. 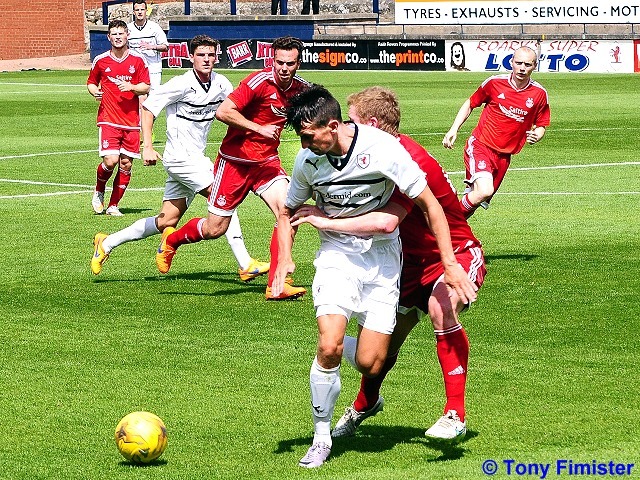 Benedictus climbing high over Quinn to head clear from a corner. 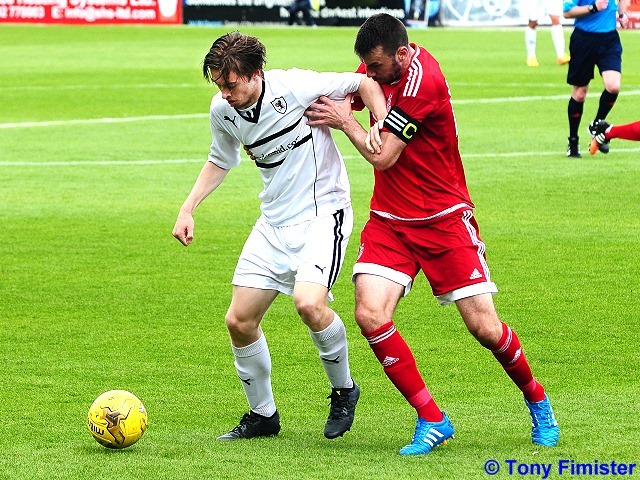 Craigen chips the ball into the area but Brown denied the looming Anderson. 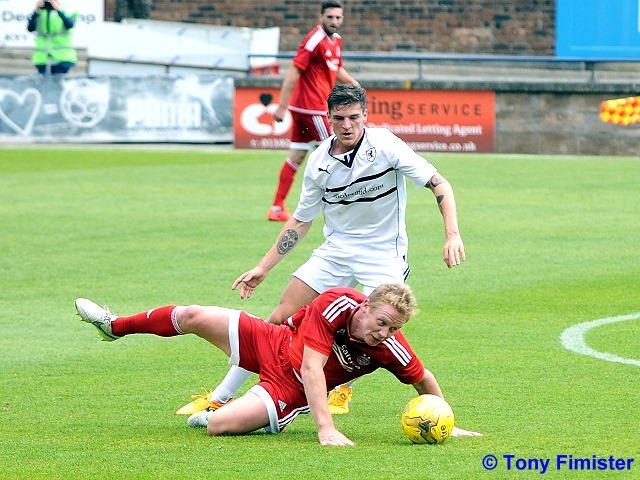 Aberdeen clear the ball off the line. Wright looking for a penalty, Mr Charleston waves on play. Megginson forces Brown into a hasty clearance, McCord received the recycled ball and shoots just wide. 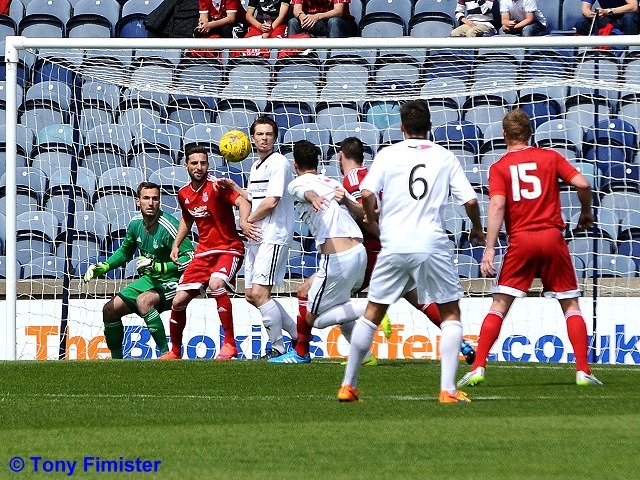 Aberdeen 's number 17 forcing Cuthbert to save with his feet, Toshney cleared the errant sphere. 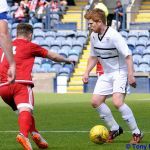 Craigen backtracking to deny Storrie. That number 17 again, hitting the bar this time. 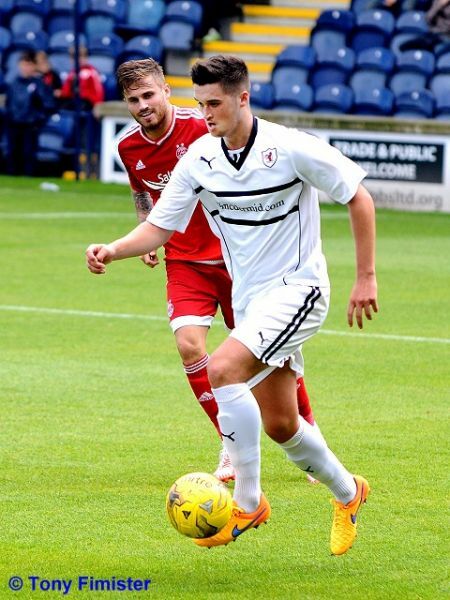 Craigen received the applause of the home crowd with some good attacking play. It's starting to rain, some of the South Stand getting wet. 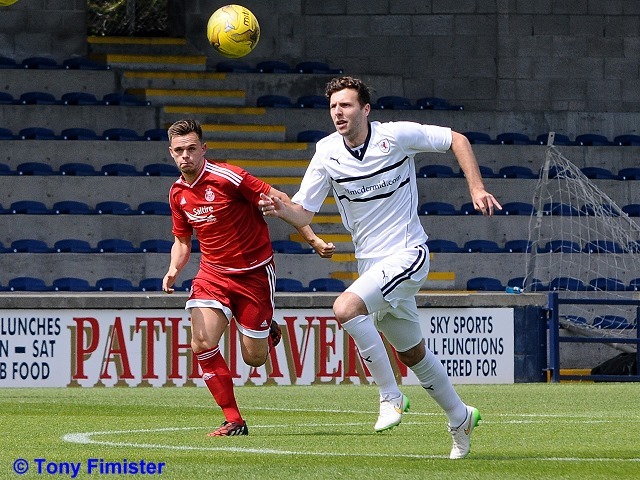 Callachan and Thomson defending well at the near post from Robson's corner. 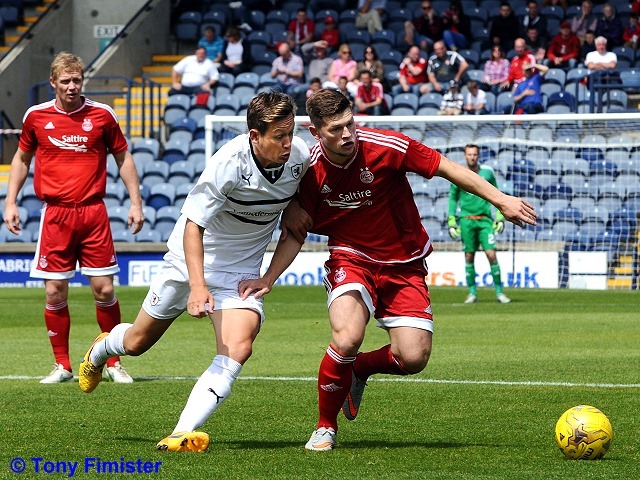 Wighton chips in from the right, Anderson could only watch as Brown flew to his right to parry an excellent shot. Correction, it was Callachan who had the shot. 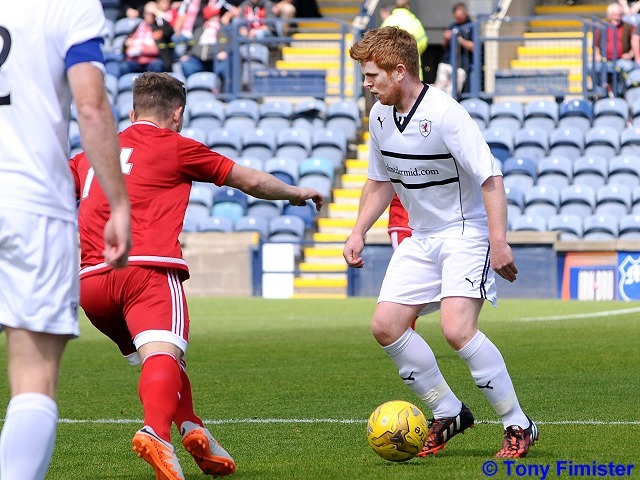 Barry Robson unleashed a cracker from 25 yards, Cuthbert followed it all the way and parried to his right. 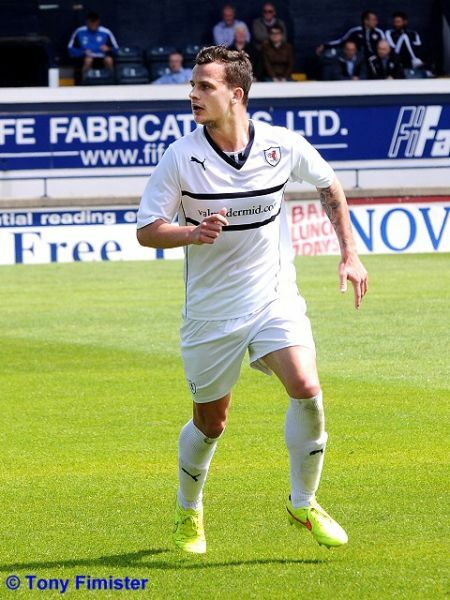 Goodwillie is the number 17, it says 18 on the team sheet. 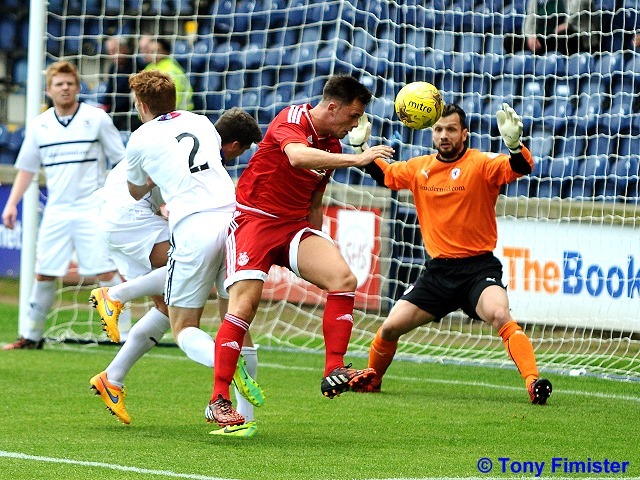 Goodwillie sees his glancing header sail past the back post. 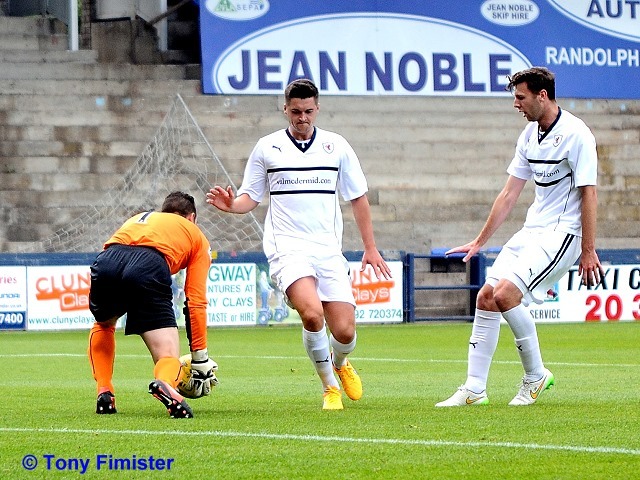 Rovers player down in the box. 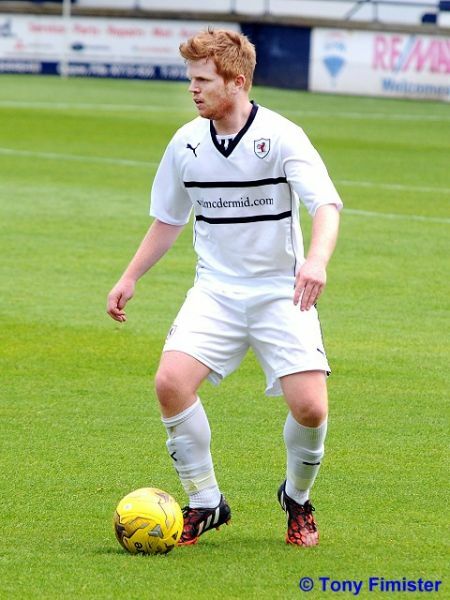 It was Craigen , he shakes off the knock and plays on. The back four looking comfortable on the ball. 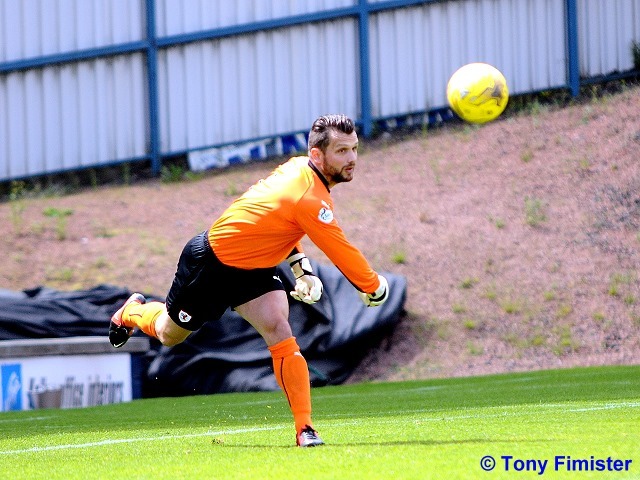 Cuthbert, Thomson, Petrie, Toshney, Benedictus, Callachan, Anderson, McCord, Wighton, Megginson, Craigen. 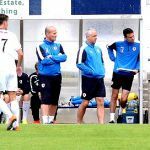 Subs, McKeowan, Vaughan, Matthews, Robertson, Bates, Ford, McGurn, Court, Campbell. 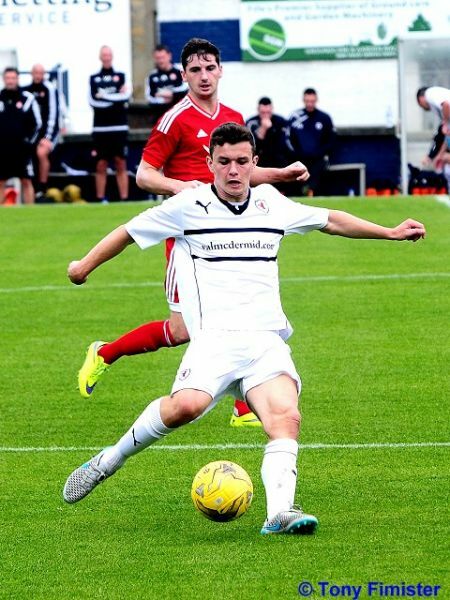 Brown, Quinn, Rose, Storrie, Shinnie, Smith, Robson, Pawlett, Wright, Shankland, Goodwillie. Subs, Taylor, Considine, Flood, McLean, Ross, Hayes. 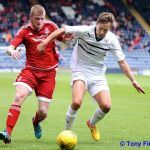 Raith Rovers pre-season preparations continue this Sunday afternoon, when they welcome Derek McInnes’ Aberdeen side to Stark’s Park. 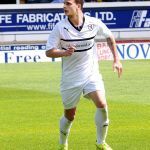 Unusually for this time of year, Raith will be coming up against a side who are already two games into their competitive season, after the Dons squeezed through against Macedonian side, Shkendija on the away goals rule on Thursday evening. 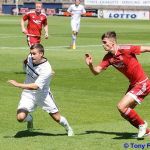 A Niall McGinn goal had given Aberdeen the lead in the away leg just over a week ago, but a late equaliser from substitute, Hristijan Kirovski, ensured the return match would be a more nervy proposition. 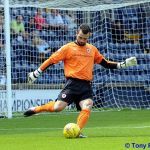 A clean sheet was all the Pittodrie side required to ensure a match against Croatian outfit Rijeka in the second qualifying round, and they did just that, although the encounter was a tense, goalless affair in front of an excellent crowd of 14,000. 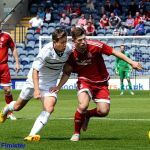 Other than the two Europa League qualifying fixtures, Aberdeen have also played two friendlies to gear up for their continental campaign. 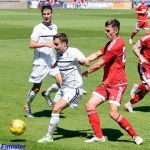 The first was against a makeshift Brechin City side, and goals from Ryan Jack, Peter Pawlett, Shay Logan, Johnny Hayes, Michael Rose and an Adam Rooney hat-trick, saw Aberdeen rattle up an impressive 8-2 victory. 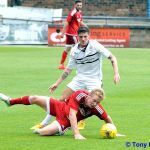 Their second friendly against St. Johnstone, featured nine fewer goals than the first, but it again saw the Dons emerge with a win, after an Adam Rooney penalty was enough to see off the Saints. 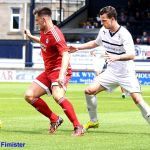 Raith Rovers and Aberdeen haven’t met on league duty since the 1996/97 season, but their last competitive meeting was played far more recently, when Gregory Tade’s close – range finish at Pittodrie in a 2010 Scottish Cup replay, fired Rovers to a quarter-final meeting with Dundee, after a 1-1 draw in Kirkcaldy. 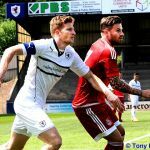 Sunday afternoon’s match referee will be Craig Charleston.